Yum Pizza at the office in lunchtime can make your day really, Paneer Tikka Pizza is a mouth melting pizza recipe, here the mixture of delicious paneer tikka is topped on the pizza base and then flavored with lots of cheese. Quick and easy pizza sauce. No cooking and quick to make. Homemade pizza sauce + homemade crust that comes together in a flash and tastes amazing! Learn to make the best veg pizza at home, includes pizza sauce and making pizza dough. 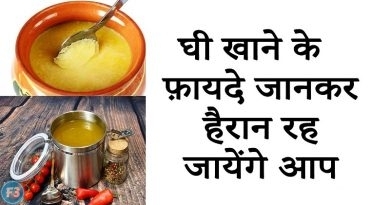 Combine curd, onion, tomatoes, capsicum, green chilies, paneer, salt, black pepper, coriander powder, tikka masala powder and lemon juice. Pour the prepared mixture and stir fry on medium high flame for few minutes. We are doing this just for blending all the flavors. Take the pizza bases, spread an equal amount of butter, tomato sauce and pizza sauce all over. Divide the paneer tikka mixture into equal portions and spread evenly on each pizza base. Top each pizza with an equal amount of shredded cheese. Preheat the oven to 350F degrees for 5 minutes. Place pizza inside the oven and bake for 6-7 minutes until cheese melts and top turns into nice golden brown in color with the crispy crust. Remove from the oven and cut into 4-6 equal pieces. 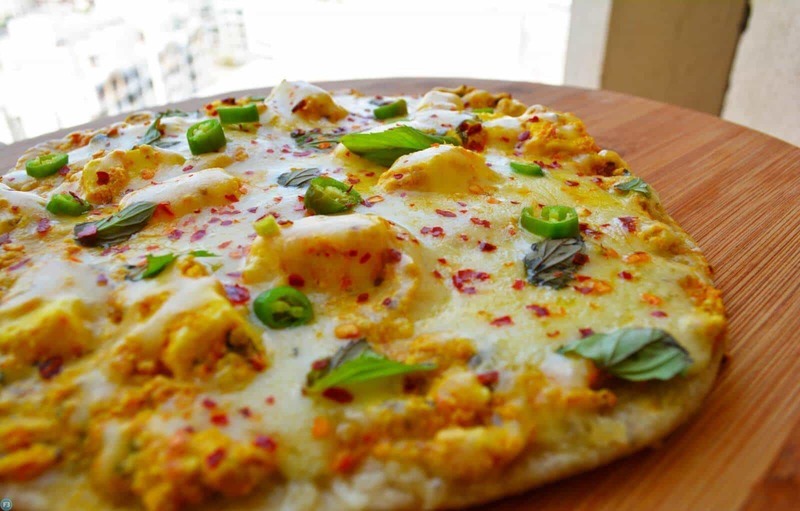 Sprinkle some mixed oregano and some red chili flakes and serve piping hot paneer tikka pizza. Follow the same procedure to make remaining pizzas. Panner tikka can be made in the oven or tandoor as well. 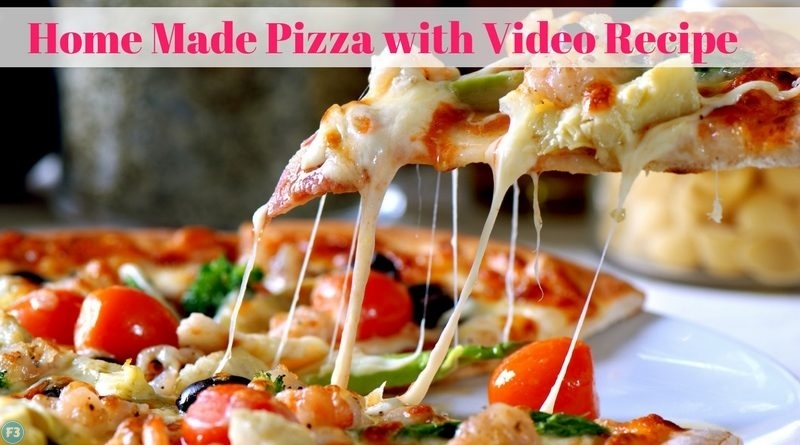 Serve this delicious pizza immediately else becomes soggy within few minutes. If tikka masala is not available then you may use or garam masala powder.